After a number of years (and delays) in development, WKO4 has finally hit a desktop near you. The once flagship desktop app had seen quiet times over the last roughly half a decade, but development was restarted a few years ago back in the summer of 2012. The development though essentially had two different pieces to it. First was the more complex piece of coming up with new algorithms and new metrics. These new metrics ultimately would enable either better training or racing strategies, or perhaps just more efficient ways to identify existing metrics. That development was primarily led by Dr. Andrew Coggan and Hunter Allen. This includes new ways to identify one’s FTP (Functional Threshold Power) without having to do FTP tests (called mFTP for modeled FTP). Though that’s really only one of numerous new metrics or ways to surface up information. The second piece is the development of the actual software app itself. That piece is heavily reliant on the rest of the TrainingPeaks software development team, but is essentially no different than other software development effort. Which means that it had its highs and lows (read: delays). 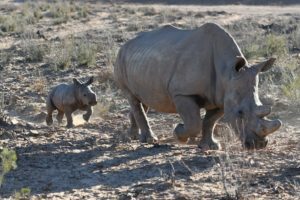 However roughly three weeks ago the bun finally popped out of the oven. Here’s my take on using it the past little while. At present, the app is only available on Mac, so if you’ve got Windows – you’re sorta out of luck (unless you want to use a hosted Mac cloud service). But they say things are coming to Windows no later than the end of this calendar year, so no more than 4 months away. In the meantime, a free 14-day trial version is available, which is what I’ve been using (well, at least until tonight when my trial ran out and I had to buy it to continue writing this post). Of which, the installation (and eventual payment) was quick and simple. Once you get it installed you’ll create your athlete profile. 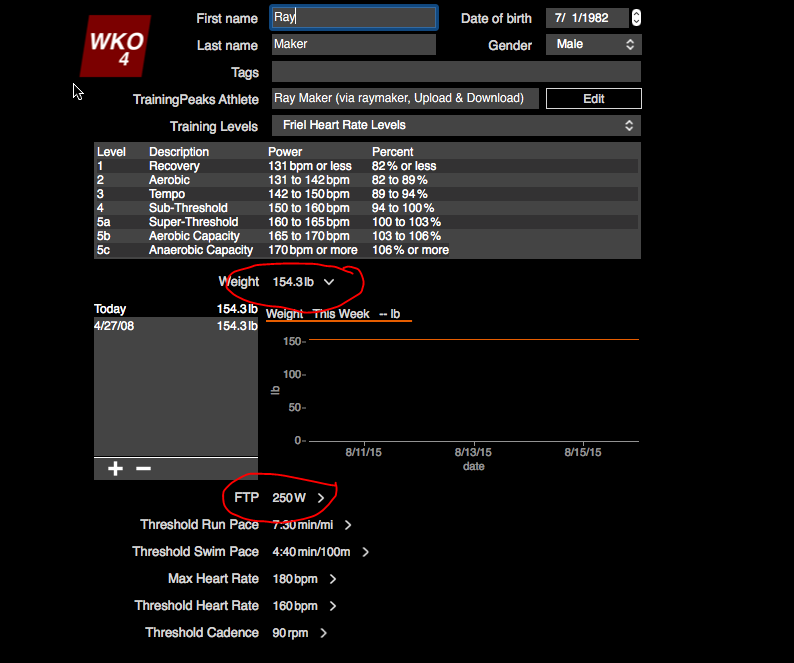 Because WKO4 is designed to support multiple athletes (such as a coach would have), it allows you to manage those individually via the left dashboard. In my case, I added my existing TrainingPeaks account, which then synchronized my entire inventory of data into the app. That took a while, so I’d recommend planning dinner for that synchronization if you’ve been using TrainingPeaks for years. Once that’s done you’ll be at the point of seeing your athlete details pane. This shows your current training levels and FTP, as well as run and swim focused metrics at the bottom. Of course, these generally tend to take a backseat within the app. It’s not as if they aren’t present, it’s just…well…less detailed than cycling. Meanwhile, along the right side you’ve got the slices of time – such as this week, last week, this year, and so on. These are what controls the middle chunk. 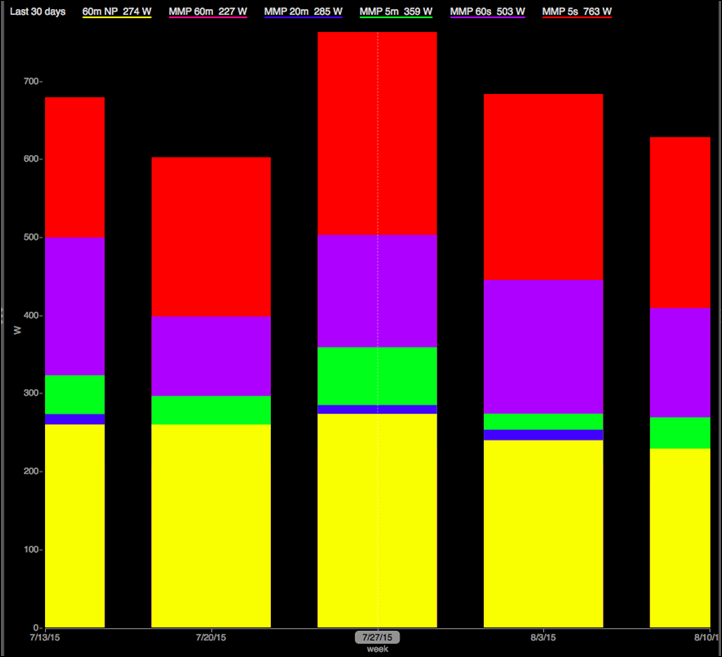 It’s fun looking back historically to different years where my training volume was focused at specific events – such as an Ironman (where obviously training durations are longer). And then there is the website with more. What’s cool here though is you start to see other sports supported, for example I saw some rowing ones in there. The charts then drive the information in the middle pane, based on either a workout or a wider timeframe (collection of workouts). There are two types of charts – Athlete and Workout. Fairly self-explanatory, but Workout charts are specific to data within an individual workout, whereas Athlete charts tend to be over timeframes (i.e. multiple months). In this stage, because I haven’t selected a specific workout yet, these are more general metrics as confined to a given time slice on the right side within the Athlete Charts. For example, it’s fun looking at the Power Duration Curve chart, which shows where I sit as a cyclist in terms of W/kg and different durations. The shorter durations (a few seconds) are on the left side). Obviously, I’m not a sprinter. So while my ‘sprinting’ says it’s recreational, you’ll see that by time we get into the 5-minute+ categories, my ‘status’ rises up into the ‘Good’ category. This would be somewhat expected given my triathlete focus, over a traditional road cyclist. This is called Phenotyping, and within the module it’ll actually tell you exactly which of the four categories you are (Sprinter, Pursuiter, TTer, and All Arounder). Thus it’s probably little surprise I’m classified as a TT’er, given my triathlon focus. Another interesting metric would be the mFTP setting. 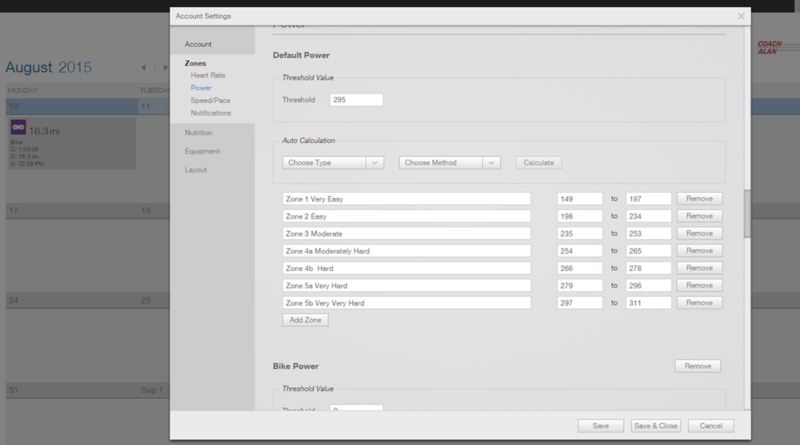 This is the modeled FTP, which automatically changes as you upload your daily workouts. Traditionally speaking you’d do FTP tests on some specified timeframes throughout the season to understand this value. With mFTP, you’re getting an estimate of what the application believes you’re at, at a given point in time – likely between those tests. There’s a crapton of places throughout the software where you’ll see your current mFTP values. For example – above you’ll see it at the top of the application – front and center. And down below in the orange line you can see it increasing over the last month – likely as I did various efforts/rides that ‘stressed’ that value. But at the top you also see sFTP. sFTP is what you’ve set within the application manually. In my case I tend to leave sFTP at 295w lately, merely because that’s the last time I did some tests in that area (a long time ago). Right now the mFTP of 291 makes sense, though it’ll vary based on the rides that I’m doing. 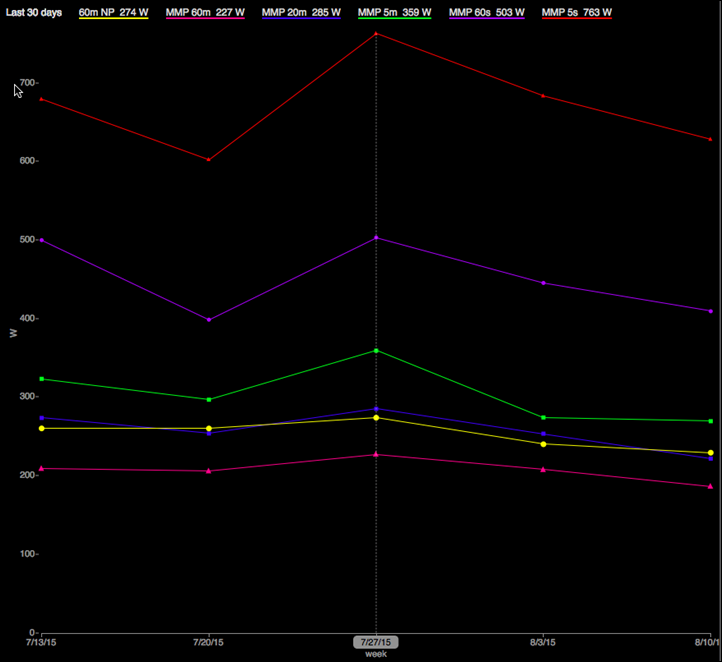 I suspect if I was doing training efforts that were more structured right now I’d probably get more accurate results. Versus most of my rides are just summer wandering around the greater Paris area, usually without too much focus or specified intensity. There are numerous ways to display trending power data, be it Mean Maximal Data (MMP), or any of the other tabs along the top that can be customized. 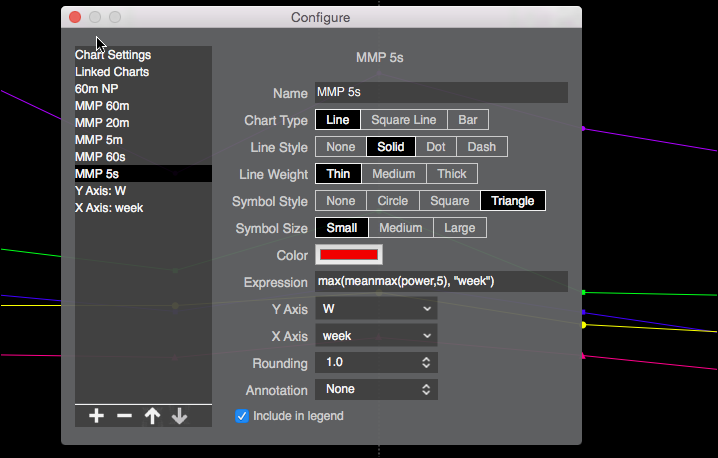 MMP though shows up most often within a number of charts. The below is a bit different than you usually see, in that the stacked element makes it more clear for timeline purposes. Versus a traditional MMP graph encapsulates an entire time slice (be it 1 ride or 1 year) in just one line, so it shows less historical data. Also on the new/updated front is data dealing with left/right metrics. This is notable because of much of the discussion around whether left-leg only power meters impact things. In my case, you see the same thing that graphs two years ago as part of my Garmin Vector In-Depth Review showed – that once I get close to and exceed my FTP, things go out the window. In theory these two would match if I was perfectly balanced across all power ranges. On the flipside, I’m not quite clear where these 2,500w+ wattage numbers are coming from, since I had no power meter generate such figures anytime in the last 30 days to my knowledge (I usually top out in the 800-900w, as shown in the MMP graphs earlier). This is definitely interesting data, and is something that aligns well with some of my recent commentary on the challenges of left-only power meters. Further, it also aligns with some of the discussion I’ve had with the BestBikeSplit guys (now also part of TrainingPeaks) that left-only power meters are a bit challenging for some of their big data type analysis. Below is the trending for just the last 30 days of my left/right balance. I was going to show you the entire 2014/2015, but alas, that report fails to generate for some reason. Now below is of particular interest because it shows the effect of two different power meters. The line is where I switched from the PowerTap P1 to the bePRO units. Did my pedaling style change? Or was it just a shift in units? Even within a given unit though, you can see a small shift. Hopefully I can get the full year reports to work – especially the 2014 report – as that was fully on a single unit type (Vector) and would certainly be interesting to look at (I generally keep my TP data ‘clean’ when possible, meaning I usually keep to the same PM there). That said – all of this is only focused on vanilla left/right power, with a single page on pedaling smoothness and torque effectiveness. None of this leveraged any of the fancy Cycling Dynamics data. You’ll remember my recent rant last week on the lack of usefulness of that data, and this drives home that message. Obviously WKO4 will receive updates in the future, but at this point – it’s just not there from a leveraging this data standpoint. In my discussions with them, they essentially said they’re still waiting on Garmin to provide access to that data. But still, there’s no guidance from any of the folks behind WKO4 or Training Peaks on how coaches could actually use this left/right data in a training/racing scenario. While it’s easy to say one should try and make something balanced – there’s zero scientific support that’s doing so is actually a good thing (in fact, much antecdotal evidence shows doing so reduced total wattage). And digging into a given activity view, you’ve got much of the same core information about a workout as you’d see in TrainingPeaks, for example the basic charts and maps are all there (and again, the ability to add custom ‘Workout’ charts). But ultimately I think the power of WKO4 is really around the customization aspect. Taking the MMP graph as an example we can tweak a slew of attributes there. We’re seeing that already within the Wattage Forums with people trading graphs and charts, which is no doubt going to make the application more viral in nature. Of course, we’re also seeing the Wattage Forums people having some early teething pains. Which is I suppose common with most new software. For example there’s plenty of discussion around the mFTP pieces. Something I’ve seen in just the two weeks using it, with respect to how variable it is (perhaps too variable). There’s a heavy dependence on doing efforts that would otherwise drive up the FTP. Thus it doesn’t seem to take into account as well my more casual summer riding style. 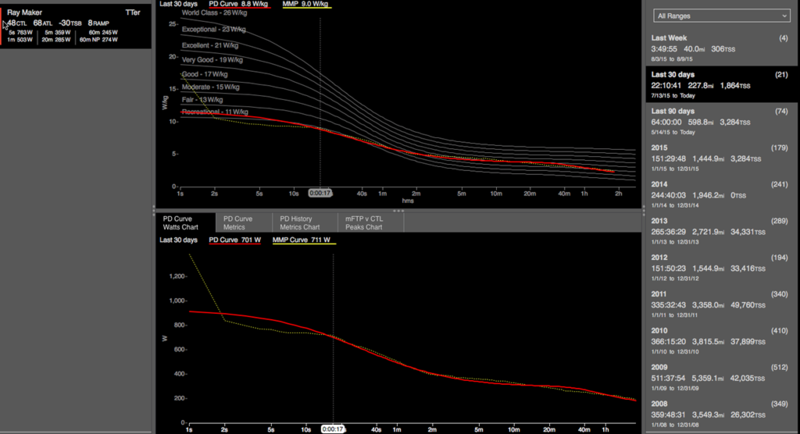 Only after doing some harder efforts did the FTP slide from in the 250ish range up to the 290w that it’s set now. And then sometimes reports just don’t pull data as expected. For example, this report seems to imply I haven’t biked at all the first half of the year, but when reports are generated for just 30 days – no problems. And I’m sure my minor items will also be collected along with feedback from the Wattage Group (since the WKO team is very active on the forums there responding to comments), and probably processed appropriately. So do keep that in mind that these are just short examples I found – and that if you come back here a month from now I’d be rather surprised if they weren’t fixed. Though, as I noted recently in a podcast, while I might make brief mention of future fixes here, one of the core reasons I don’t tend to do app reviews (of any type) is because apps change so quickly that doing app reviews of all apps in a space every time they updated would just be madness. And I’ve often found that app companies get somewhat upset when I don’t immediately update my review for the things they’ve changed or fixed some time after publication. So do keep in mind that this is just a snapshot in time, and time moves on. So what’s all this cost? Well, the WKO4 app is initially being offered at $179USD (one-time purchase), though will ultimately be $199USD once they get past the intro offers. There’s also an upgrade path for existing WKO folks at $129USD initially (and $149USD later). The bigger question is whether or not the entire concept of a paid desktop-only app actually makes sense. In this data and age, the majority of daily-use functionality that most athletes use is already within TrainingPeaks online. Where WKO4 gaps away from TrainingPeaks is in the customization elements, as well as some of the newer modeled metrics. But one would have to believe we’ll eventually see those in TrainingPeaks (TP) anyway. Of course, if you’re one who doesn’t want your data stored ‘in the cloud’ (aka: The Internet) then yes, WKO4 is definitely a better choice than Training Peaks. But I would certainly also evaluate the very capable desktop-only app Golden Cheetah, which is free. 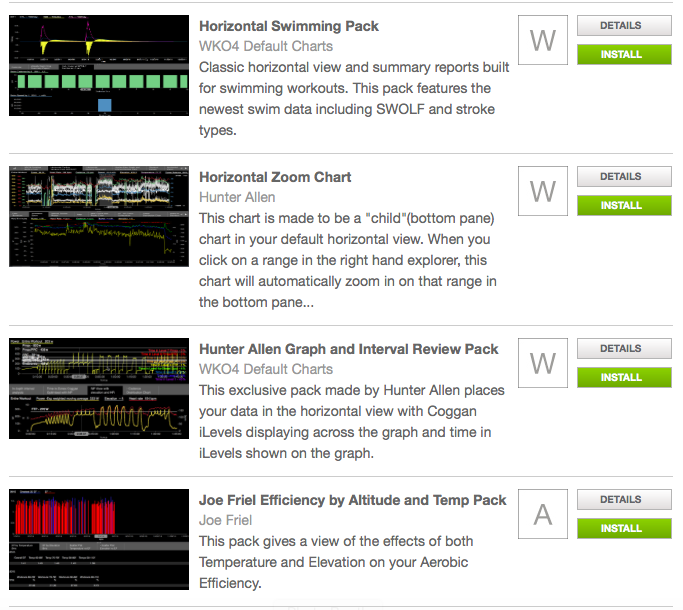 On the flip-side, the power behind the customization of athlete and workout charts and packs is massive. The more I dug into it, the more I realized just how much there is – both in terms of data there today and customization of that data. If you were a coach and had very specific graphs and charts that you wanted when managing numerous athletes, you could really nail the interface to show you precisely what you wanted (and only that). For the ‘average’ athlete though (and in this context, average means an already advanced athlete technologically or data-geek wise), it’s going to be a tougher sell to pitch WKO4 over TP. You’ve got to really want to dig into the details and drive heavy customization to be worthwhile. But everyone has different priorities. “expected complete divergence between them” — meaning convergence? It’s unfortunate that such a powerful piece of analysis software is fronted by such a horrible user interface. What rubiTrack lacks in analysis, it makes up for in spades in usability. Good catch, yes, meant convergence. Fixed. Thanks! Any support for multiple oxygen meter metrics like those gathered from a Moxy? Not natively. It’s not 100% clear to me how the application would handle unknown/new ANT+ sensor streams that showed up in a .FIT file. I’ll ask. Does the App support the Moxy monitor? Ray, when you have some time, take a look at an open source web app at runalyze.com. Maybe not as advanced, but certainly worth looking at. It’s a bit raw, but I think it worths a try. 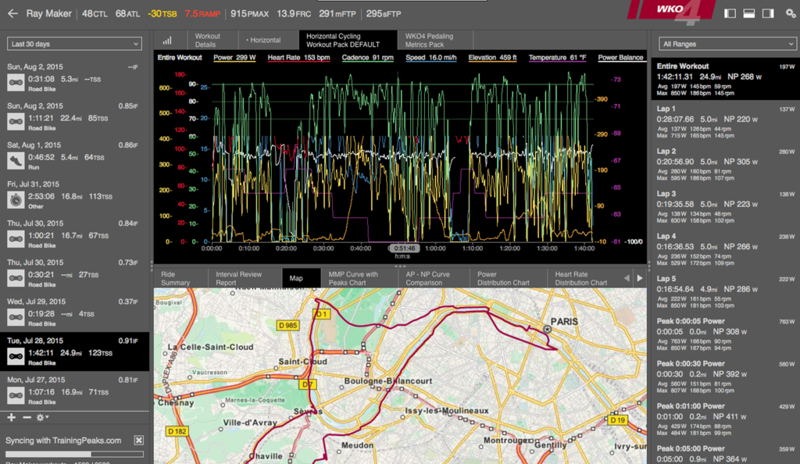 I would be great if it could sync with GC/Movescount/Sporttracks,… Thanks for your tip. thanks for mentioning this site! Ever got the change to look at link to sporttracks.mobi and their accompanying desktop application ST3? Might be worthwhile since it’s much cheaper and the desktop application can easily be extended with your own data (data fields, graphs, ..) and plugins for additional functionality. I use ST3 desktop and I’m quite happy with it. Would be curious to understand how it compares to this newer software. Yup, I’ve used SportTracks Mobi from time to time – good stuff and a solid platform. I long sync’d my Garmin account to it, making it handy to check out new items here and again when they announce them. Of course, like most platforms I haven’t written a dedicated post on it (though do often link to new features in the Week in Review posts). 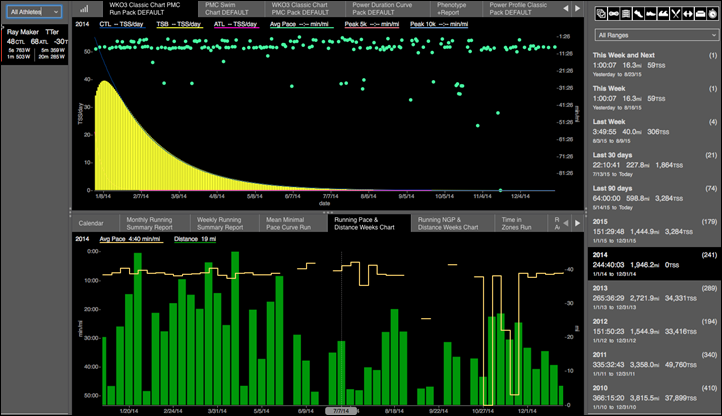 That said, in all other aspects I am happy with ST (ehmm, and the bunch of plugins I have purchased for swimming and running analysis), and I wish they could polish their capacities so I don’t have to look away for power analysis. I jsut wonder if there is some copyright issue on the metrics, so ST can’t use them. Your CTL and ATL are way to low for -30 TSB. Perhaps it didn’t pull the data or files correctly from the TP site. -30 TSB is a pretty big hole for anyone. Good catch, I’d agree. I was repeatedly seeing reports failing to calculate based on the data that was there – though, mostly beyond the last 30 days. 1. Today’s TSB = yesterday’s ATL – yesterday’s CTL. That’s why it is -30 in the “hero metrics” (top bar in 1st screenshot), rather than -20 (i.e., 48 – 68). If he is putting in 5 hours a week that CTL still seems low to me, but IDK. I typically bottom out at 60 in Nov before starting the climb back up to 100. Each person is different I suppost. Thanks for the response. I’ve owned WKO 3.0. The base app was fairly decent in it’s day and I used it alot (not a fan of subscription software in general). TP dropped the ball completely on the lack of support after the initial version was released and a couple of minor updates (bug fixes). No new features or bug fixes after that. Once the webservices were online, support was completely nil on this product. There’s a reason the TP forums were removed on 7/1/15. There were a lot of hate threads for the lack of support on the WKO 3.0 and previous users stating they would not upgrade. The software isn’t really cheap. If you decide to purchase the app, just be aware that it will more than likely not be improved in form of functionality, new hardware and quite possibly existing bugs after the first couple of minor updates. Jonny- All I can say is “We’re back!” . Look for 4.1 in a few months along with PC before end of year. We’ll have 4.2, etc in the spring of 2016 I’ll bet as well. Tons of support, new energy and we are fixing bugs daily. It’s all words of course, so you’ll just have to believe me until you see the action! Will the forums be coming back? I quite like the interface, after learning the basics by watching their Youtube videos. What I really like though is that I get my Garmin sessions uploaded to GC over my phone, pushed to TP and then synced to WKO. 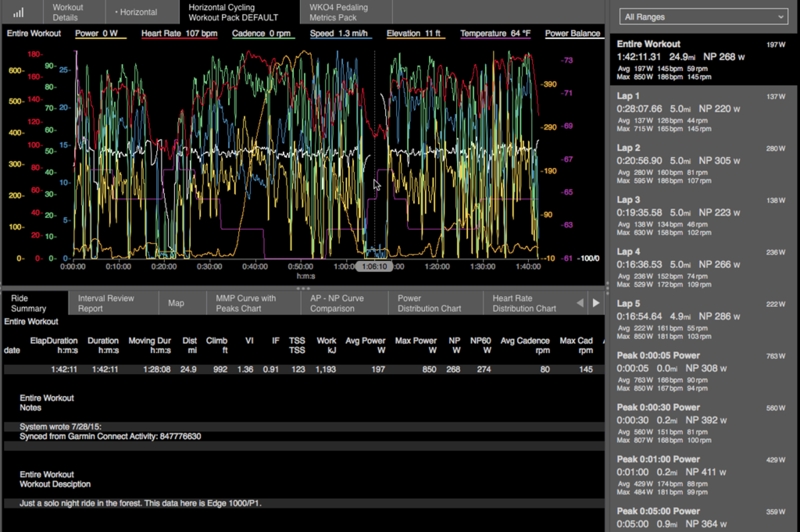 TrainerRoad sessions go directly to TP and then WKO. I’ll use it as a reporting tool mainly, every now and then. Didn’t use WKO3, but yeah, I now bought WKO4. Exactly my thoughts as well. I have been using TP premium combined with the free GC and WKO+4.0 offers nothing that will improve myself as an athlete. The power duration model is in my opinion inferior to GC’s model, and everything else on WKO+4.0 is already on premium. That 199 price tag is pretty steep when you are already paying 129 a year for premium. I am going to guess that this is not going to be a big seller and will only push people more towards software such as GC/poweragent which are free. As noted in the review, the software is pricey. 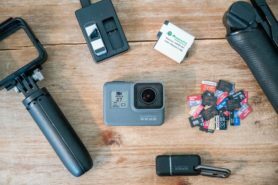 Currently, when I use free desktop apps (Golden Cheetah, PowerAgent, Garmin Training Center, et al) I use a symlink to a cloud-based storage service to sync up the data files from one computer to the next. I guess the users of WKO4 would have to shell out even more money for each instance to duplicate this flexibility thus making it even more expensive. They dont say this, but WKO really is more of a “commercial” use product. Aimed and Coaches who need to dig deep in multiple athlete data in order help each reach their goals. For the vast majoroity the online TP is more than info. Arron- I disagree and as one of the co-developers, I can tell you 100% we did not develop this for coaches only. We developed it first with athletes in mind and then made sure that coaches could also use it. 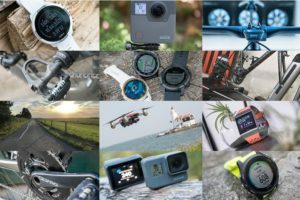 As a cycling coach myself, of course I represented what coaches would want in a product, but in all reality, those features are actually not that many in terms of all the combined features. 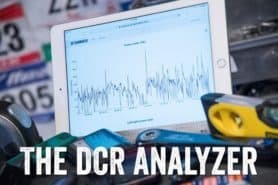 We created this for anyone that wanted to analyze their power meter data more than what is available online and also in other programs. Pointy tip of the spear. Want leading edge? That’s who WKO4 is made for. I’m a TP premium user and I don’t have any background on the coach’s edition of the software, but what does seem attractive is the way that WKO 4 allows the management of multiple athletes. I don’t think they are pushing this for the single user/athlete – there are other products already mentioned above that fill that role. I think this is more a product for a coach with multiple athletes that want to squeeze that last 2% out of their performance and that don’t know where to look. It is one thing to have access to reams and reams of data, but another completely to change that into information and something completely else to use your experience to turn that into actionable training sessions. 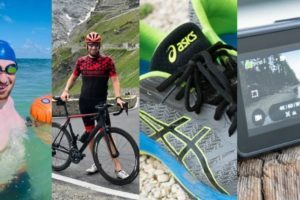 The customisation is also an interesting aspect – for instance, could you create a dashboard for a sport not listed – say a running profile for something like football? In combination with my question above, it would be great if it supported other device/file types. Then again, I think many of the very specialised applications have already had their niches filled to a more or lesser degree (link to zephyranywhere.com and the like come to mind). Waiting for the things to come..
Looks nice. But the price is quite steep, given the alternatives of TP and Golden Cheetah. Maybe they should have done two prices, one for coaches with the ability to manage multiple athletes, and one for normal users? Might be worth doing the 14 day trial to see how they deal with run / swim data… But I don’t see myself spending so much money to get the bike data I already have in a prettier package. Sorry Chris. I had to reply. “Price is quite Steep”? You do realize that four nice bicycle tires will cost in the same range as WKO4? Four tires might last you half the year if you don’t cut one or two. Granted, compared to free, it’s steep but, it’s a professionally built product and hope you’ll see that difference right from the start of your trial. For those that bought Version 3 in 2009, they paid $129 and have used it for 6 years. That’s $21.50 a year, $1.79 a month or 6 cents a day. Not sure where else you can get that value, surely not in bike parts…. 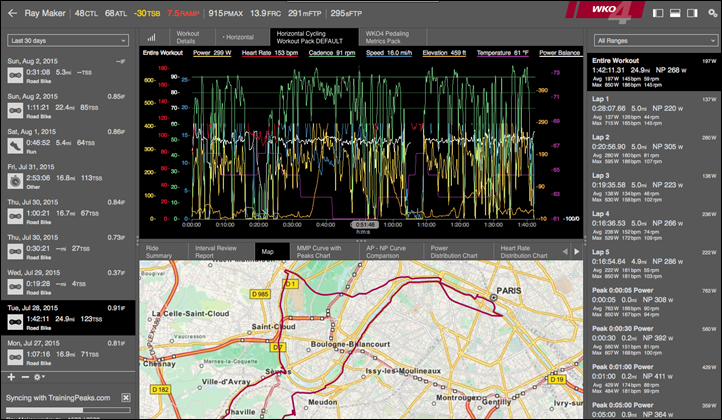 When we launched CyclingPeaks Ver. 1.1 back in 2003, we did exactly that (and yes, people complained about the price then too. Guess that’s a universal tenet?). We created 3 pricing structures. 1 for athletes $75, 1 for coaches with less than 20 clients $100 and 1 for unlimited at $129. It created issues for most of our users as they all wanted to look at their friends data, but couldn’t. So many upgraded to coach or unlimited just to check out their friends or pro data. When we went to unlimited model for Version 3.0, along with two licenses, we had a much more positive response from our long time users and new ones. So, we have continued that theme with 4.0. Does the Mac licence cover the Windows version when it’s released? Perhaps WKO 3.0 also required a premium Trainingpeaks account but I’m a little disappointed that to sync my data in Trainingpeaks my account needs to be premium or coach. Requiring a subscription on top of the upfront cost of WKO 4.0 makes it a much harder sell given the functionality crossover of the two products. I understand WKO can be used without syncing to Trainingpeaks, but importing historical data is a pain and it seems there would be little overhead pulling the data from the cloud. I’m using WKO 3 to sync with a free TP account (through my coach). This is great, as I very much dislike subscriptions and rather accept the one time, higher price. If I went with WKO 4, I’d need to do both; pay the higher price and the subscription? I just use TP to communicate with my coach, so the premium account makes no sense for me. The second piece is the development of the actual software app itself. 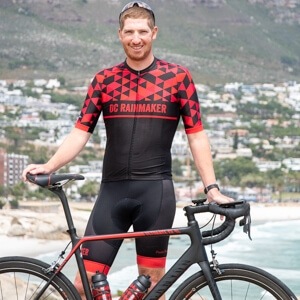 That piece is heavily reliant on the rest of the TrainingPeaks software development team, but is essentially no different than other software development effort. I hope someone will correct me if I’m wrong, but I ran across a quote somewhere (I think TP CEO Gear Fisher?) that the software is actually developed by the Peaks Coaching Group, not the Training Peaks development team at all. As I understand it, the software is essentially outsourced to a consulting team. It may explain the delay somewhat (lean resources), but more importantly it could have a fundamental impact on support going forward. It would be harder (or impossible?) for example, to just shift a bunch of coders over from another TP app… and WKO investment would be wholly dependent on money coming in just from WKO (and not TP premium). Different beast compared to say Best Bike Split, which they bought outright. No? Hmm, I’ll get clarification. I was using TP in the general sense there (since there are people that are crossing between both products). But valid point on separation. ‘ WKO4 has finally hit a desktop near you’ not really, as this is only the Mac version. I think WKO4 would be overkill for doing just running alone, especially on a device like the FR225 which isn’t going to record at 1s. I’d start with free apps first, like Strava or a trial on Sport Tracks or Training Peaks, and then go from there. Or, the other running one someone noted in the comments here could be worth a shot. I’ve spent a while with the software and bought a copy to support Hunter and Co. For those that don’t know I am the lead developer of GoldenCheetah, so here is my biased viewpoint. 3. Pre-defined Metrics – it is quite limited indeed, not much over WKO3. 1. 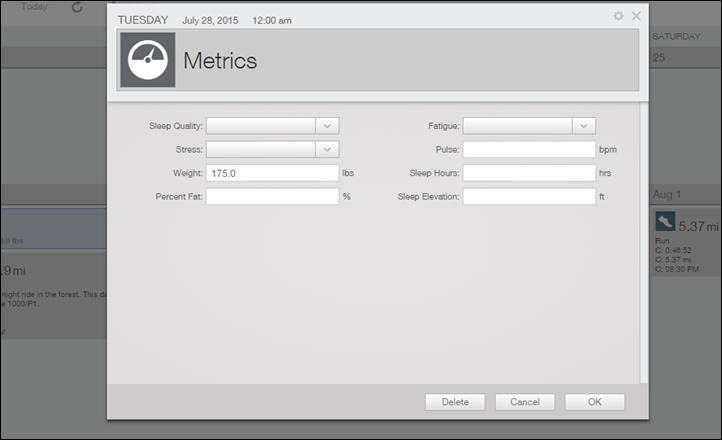 Define a custom metric based upon ride data e.g. BikeScore is possible, but you cannot track it over time. 2. Charting time ranges is possible, but filtering out rides in that range is not possible. 2. It is badly affected by outlier data at any duration and worse data spikes cause the modelling functions to crash / go into infinite loop. 1. Chart exchange is an awesome idea. 2. Expressions are a good way of shifting development effort from their dev team to the community (but the language looks limiting, time will tell if it gets continued development). It took 3 years to bring to market, with a single developer. Long term development is promised, but I am skeptical. The record with WKO3 suggests after the initial euphoria things might change. I know better than most the challenges involved in developing these tools. What they have done in starting from scratch is a major effort and I commend them for finally delivering. But in doing so they had to stick to fundamental / core functionality. I was surprised that it contains so little that is actually new (i.e. not in other software already). This is an fair review. I would like to answer a few of his questions and reply to a few earlier items. My name is Tim Cusick, and I am a co-developer of WKO4, so my reply can be seen as biased also. MFRA, fast find, and auto interval detection are three key things missing in the launch. We knew this would be difficult, but the reality is that this is a shift in paradigm. This program is an analytic engine. Why does it matter that it is an engine? It’ll take some time for users to realize all the benefits of the switch, but you’ll see some of those demonstrated in the upcoming WKO4.1 release, which will include fast find, auto interval, and MFRA. We’re going to utilize the strength of the engine to do these features in a unique way that hopefully will solve a lot of issues. As Mark points out, he cannot track bike score over time. WKO4 allows you to compute any formula (it’s an analytic engine) in the system. We did not foresee it doing variations of “weighted averages” at the summary level (amazing how much you learn once you launch something) but are adding that feature now (it should be out in a week or two). As far as the charting language limitations, I disagree. People are just starting to scratch the surface. We did not put a lot of pre-defined metrics in the software initially because the idea of the program is to let users define what they want to know. For everyone’s benefit, I’m not going to touch this one. Head over to the Wattage Forum to review. Dr. Andrew Coggan and the team have worked hard on the model, and we feel good about it. Chart exchange is a great idea! You’ll see upgrades there as we add filters and search functions so you can find the charts you want. The key to understand here is that the goal of chart exchange is to exchange not just charts but also intellectual property. 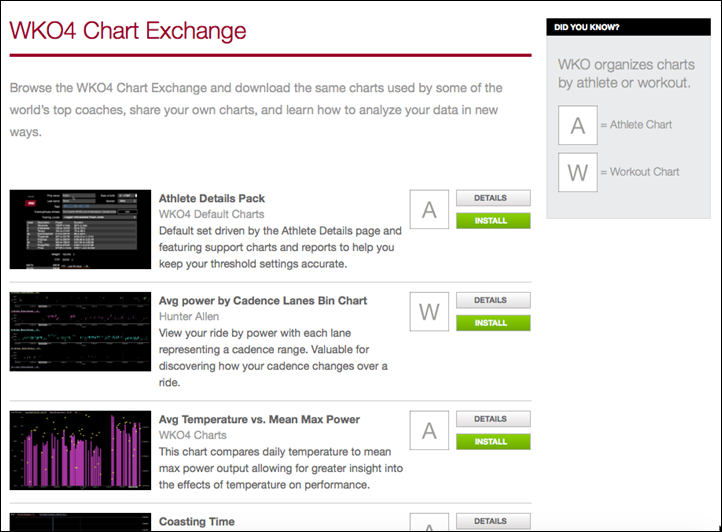 We’ve started with a few base sets, but you’ll see more and more chart packs from well-known coaches, exercise physiologists, and other users that will really improve the sharing of knowledge. This is, for me, is one of the most exciting part of the future. In an earlier post it was mentioned that Peaks Coaching Group is the development team, not TrainingPeaks. The development is actually a combined effort, and it has been so from the beginning. The original CyclingPeaks software was developed by Kevin Williams, Hunter Allen, and Dr. Andy Coggan in partnership with TrainingPeaks; WKO2 and WKO3 were the same. We increased the team for WKO4 and brought more horsepower to play to ensure long-term development. Our team is leading the generation of new ideas, intellectual property, and cool new stuff, partnering with the development team at TrainingPeaks, NOT separately as questioned above. Hunter commented earlier on ongoing support. Mac 4.1 will be out soon, and the PC version is promised by year end, but I bet we can do a little better than that. Be sure to read the note about getting beta upgrades. I’m not sure where people are getting the notion that it’s a beta upgrade. We are updating the software on a frequent basis, already adding new features and files formats. Updates are automatic, so you get a pop-up notification informing you that a new update is available. At the end of the day, there are a lot of products in this space, and each have strengths and weaknesses. The simplest solution is to give it a try. There’s a 14-day free trial for Mac over on TrainingPeaks.com, and we will offer the same thing for PC when that version comes out. Ray – Thanks for the in depth review! Your Sparkle XML currently has shortVersionString=”4.0 Beta 166″. Hopefully that refers to the UI and we’ll see the real OS X app with 4.1. Nice to have the lead developer of Golden Cheetah here. I use that software a lot and find it excellent for my needs and purposes. 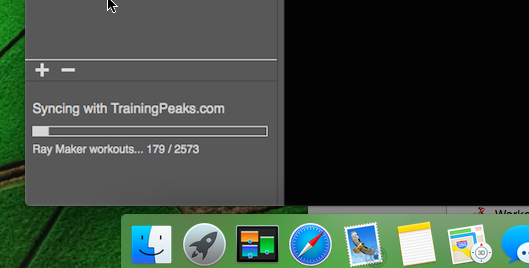 in the “loading software” pop-up window, “statistics” in English should be “statis-tiques” in French. I volunteer to provide the French and Spanish versions for the English terms. If your serious about helping out with the translation effort pop over to link to groups.google.com and have a chat. How do I become part of the group and “offer my services” (pro bono, of course) to contribute to the effort? It’s almost December. So, any day now? Weird that it automatically downloads beta versions. Or did you enable that in the prefs? I had it set to automatically download updates (doesn’t seem to differentiate between beta and non-beta). It then has another option to actually install updates. Do you have any plans on giving a run through on Golden Cheetah? Not at this exact moment, but perhaps once we get past the busy Eurobike/Interbike sweep of new products. I can appreciate the time spent on this app but sometimes I want to just throw my watch through the window. No one, and I mean, NO ONE, needs this much data. One of the best marathon coaches in the world still uses a stopwatch and clipboard. For me the main issue with “the cloud”, is that once you stop paying the monthly subscription fees, you’ve lost all that functionallity. With a Desktop app, buy once, yours forever. At least partially of topic: I’m without a doubt a noob, woke up one day saying that I want to complete an Iron Man. Bought an expensive watch (Fenix 3) and some HRM. I still have a 200€ mountain bike. I read about all these metrics, now I even see them uploaded to TP or Strava. But I have no idea how to interpret them and how to use them in tweaking my trainings. I read a couple of books over using a HMR, but I still don’t know what to do with them other than training zones. The graph I see here or in other places are great, but mean nothing to me and I feel like I’m losing a great deal. My question, the favor I ask is where can I learn about interpreting these charts and about using this in tweaking my sessions. I suspect it is in art, but is still mostly science and that I canparI learn. Don’t want to pay a coach, I want to learn to think a bit like they do; I want to become the coach, my coach. Can someone provide me with a link or a book where I can learn about this, even though it might just scratch the surface? For now even that would do. Off topic- best investment you can make is getting yourself a good coach that you can discuss your goals with and that can set up a program for you. You can then focus on doing the training without having to worry about learning about interpreting the graphs. In time, you will get to know more about all the numbers but without constantly wondering if you are doing the right thing. Thank you very much for the link, I will probably buy a power meter too in the near future. But that will only work for cycling. What about running and swimming? How should I use HMR for running or swimming? I found the 14day trial useful, maybe too brief! I’ve used TP since year 1 as I’m sure many have and have been happy with it. Disappointed to see the absence of a bundled product or discount for TP users. I’ll wait for a much needed price cut for a single athlete license or for a bundled offer with TP. When will the PC ver be available? Buying now the 3.0 will include a free upgrade at v.4.x? Firstly, well done finally getting to market. Now the gripe. As noted by Ray early in the review the lack of base data synchronisation between TP and WK04 is disappointing. Basic metrics such as weight and training zones are a no brainer. How can a coach import data from multiple athletes and expect to analyse data that is not there, yet has been recorded on a regular basis within TP. Come on guys. 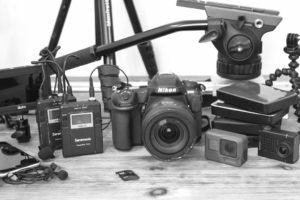 Please get the basics right before pushing all of the flash new tools. I’ve purchased the software and gone from v.56 > v.66 hoping that small issues (which have a huge flow down effect) would have been resolved by now. Surprised anyone is still developing desktop software like this. No advantage over online version really, and computing power required is better suited to hosted solution rather than distributed. Also cannot believe they would not be able to get same revenue, or better from subscription model compared to license sale. They also then have version issues to manage (Windows and Mac for example). maybe a silly quesion, but what is the link to wattage forum ? Or search “google groups wattage forum”. You may need to be approved to be a member, but that’s just a formality as they let everyone in. Tim and Andy – Is there a plan to add Moxy (or similar) data to WKO4? Courtesy of the company, I’ve been playing with a pair of Moxy Monitors for quite some time, and am slated to do a webinar for them describing my experience next month. At least for now, though, there doesn’t seem to be enough of a user base to justify expending the effort required to pull the data directly into WKO4 (you can do it already by setting up your Moxy to use the ANT+ cadence and HR channels, but obviously that’s rather limiting). 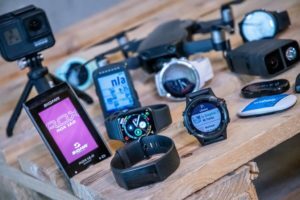 We’re keeping tabs on things, though, and of course Garmin’s IQConnect will make life easier all around. Thus, the situation could change at any time (and of course once you have the data in WKO4 it is possible to create all sorts of cool charts using expressions ). You can use SportTracks to view Moxy data and we’ve got a few plugin developers looking at building blood oxygen specific analysis plugins. Works in both the PC and Web software. Thank you Andy. I wasn’t aware that I could use the cadence channel for that already and I’m looking forward to the seminar. Lively bunch! WKO4 is a MONSTER achievement! I’m from way back when training peaks aka cycling peaks was a fancy one-off excel file. This thing is light years ahead of its previous. Is it worth the $199?? Maybe. How much was your power meter? That wasn’t cheap either… but you obviously bought one. Come on what are we talking about here… I think the complaint is how to harness all this data and insight creating knowledge. To be frank this launch sucked (sorry hunter, andy). The you tube videos are great but I’m still struggling to overlay a power line within a horizontal workout chart. You tube video’s for the finer details are hard to find and feeling a need to be a coder — which I’m not. But there in lies the challenge (probably only for me). Its going to take you investing time to learn this new tool. The expressions have bugs. They’ll get resolved. Maybe a new power training book focused on WKO4 is needed (hint hint). I don’t know. But if your expectation is to throw down $199, plug in your head unit and ta-da “go do this”. It ain’t gonna happen. If that is your expectation then find a coach and ask if they know how to use WKO4. Odds are they’ll tell you their “getting there” but when they do… the step after knowledge is wisdom. And coaches (or athletes) welding that wisdom derived from WKO4 will certainly be kicking A. I can’t wait to up my game personally. BTW, I’m not a paid lackey. I’ve just been there, done that and know a good thing when I see it — this is it. Ignore at your own peril. Thanks for pointing out that oversight. Here is a quick video on how to make a gridline. This applies for both the athlete and workout level, although I just made it for the workout level. Bastien- Nm is in there. I have attached a screenshot. How do you want to use it exactly? Thanks for the reply and excuse me for my English! I really like this kind of charts, is it possible to make some screenshots of all the chart options? Is wko4 ready for swim-hr-data? Up to now the sTSS is defined by swimming-pace, will the swimming-hr be implemented in the calculus? Stefano- Yes, WKO4 is ready for SWIM- HR data. 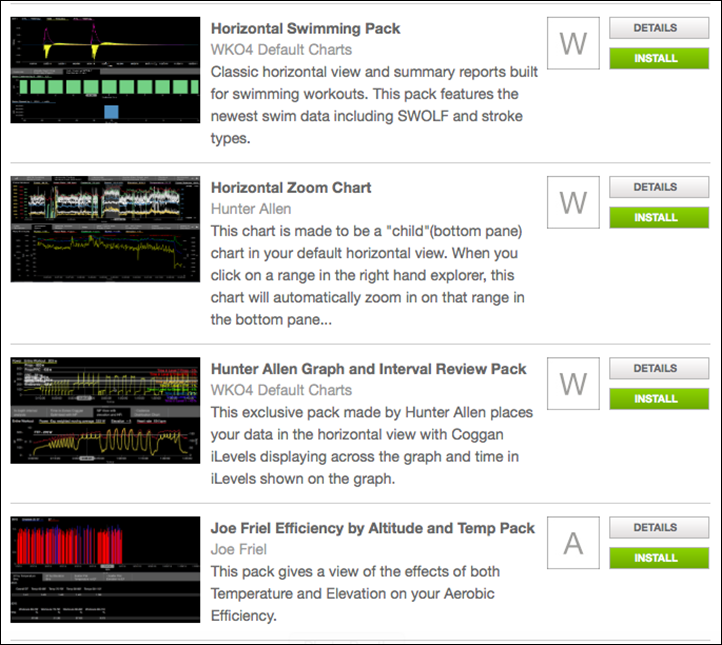 We have a chart pack that is made for swimming and automatically loads when you install the program if you have swimming data. is there a plan to have metrics and zones sync from TP? I have 4, but will not attend to it each day to manually enter metrics. It auto syncs from my scale. I was hoping 4 would pull the metric across from TP if it was populated for the sake of w/kg. The iLevels are appealing, and a great update to what I see as a guideline to break through plateaus. HRV sync from ithlete is also on my wish list since I have your attention. Thanks for the great work and passion to your product. Lots of camps on this thread, and I have tried numerous apps, but feel that WKO offers the best data / interface balance…though I will support a more visual interface if possible. I’ve got a question regarding heart rate zones, i can’t find any page were i can edit the zone, in the athlete detail page i see zones, but i cannot edit them. I think there are based on my threshold settings. And i cannot set a HR threshold per sport, so no heart rate zones per sport. or am i looking with 1 eye? I’ll start off by saying that I LOVED WKO3. It was relatively simple, straightforward, and could work on just about anything. It was as detailed as I needed it to be, and quick and dirty when I needed it as well. My hopes with WKO4 in 2012 from my previous experiences would be a more modern interface with fewer crashy bugs and resiliency for newer OSs. That changed in 2013 after I was diagnosed with osteomyelitis and faced a pretty nasty uphill return to bike racing at the P12 level. I was very concerned with returning to my previous state of fitness and abilities, but while I could hit old FTP test levels and CP’s, I was getting shelled in races I was succeeding at prior. Around this time, Coggan was talking about the new capabilities of WKO4 with the mFTP and the FRC metrics. The latter was one I personally discussed and explored with him as he did a pre and post analysis of my power data and how it related to the staph infection. What it showed quantitatively was what I was experiencing anecdotally: my FTP was the same, yet I had a very hard time dealing with hard anaerobic efforts (new explanation, my FTP was the same but my FRC was greatly diminished). Was very excited to bring this into my training plan ASAP, but without a release client WKO4, couldn’t do it. So here we are with the new release… I’m excited by it and let down in some ways. 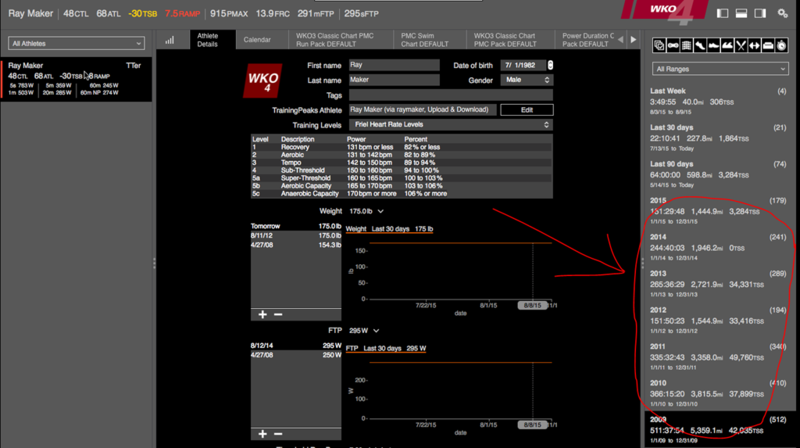 First of all, if you are a legacy WKO user that uploaded data to WKO first before uploading to TP DO NOT auto-update from training peaks, update from WKO it’s a lot less painful and will ensure a 1:1 data transfer. Second, man this is a really in the weeds software package. Even as a seasoned athlete with technical experience, it’s a steep learning curve. If you’re an Ex-Sci PhD, might be geared more toward you until the user data library gets more comprehensive (still light on content as of a few weeks ago). I’m also a bit disappointed with the road GoldenCheetah has explored (encouraging an active user dev community) being active and useful with the more confined WKO experience. You’re basically subscribing to the Coggan/Allen word of god and do not have an option of anything else. Also, with the new metrics like FRC, there is nil support to any of the newer head units. So even though FRC has a ton of utility as a live metric on a head unit (moreso than NP IMO), got nothing for ya. It’s also a bit frustrating with updating mFTP and weight. If I’m syncing my weight every day on myfitnesspal and it syncs to all my other apps (TP included)we’re past that point of it being a nuisance to do it here too. I’ve spoke with them about the auto mFTP>sFTP, and they’re exploring it but trying to work some bugs out of mFTP… fair. As for the whole calculation of mFTP… this I’m very curious to see what the consensus will be. You can set it for whatever period you wish, 90 days, 30 days, 2 weeks… Back in the day, NP was restricted to a time period over 5 minutes because Coggan was adamant that NP less than 10 min was really too wild to be taken seriously. TP went beyond that down to 60s and I don’t know that it was a good thing that they did that. Of course, when you do that you can show some pretty cool numbers and I’m sure people like seeing that… but is there honest-to-god scientific merit behind doing so? Would like some guidance on setting mFTP for periods like racing vs off season riding. Very interested to see where this goes. WKO was the 800lb gorilla in the room back in the day, but I’m not sure what the future will hold. The word of Coggan has been the law of the land for over a decade, but the more other rivals publish, I think others are starting to reach parity in competing theory. Any adea of any Mac or web software that allows me to overlay multiple workouts on top of each other to compare them? really struggling to find anything out there. It’s December 31st. Where do we go to buy it??? Thanks. It feels like 2014 all over again. Any idea when syncing of weight, FTP etc will sync from Training Peaks. Really cannot face manually copying data around. Can WKO4 generate tcx files? I am trying to minimize re-writing of plans. Could not find it elsewhere here. Apologies if already discussed. Is there a smart way? Sono Roberto da Bergamo (Italy) il programma WKO4 c’è in lingua italiana? 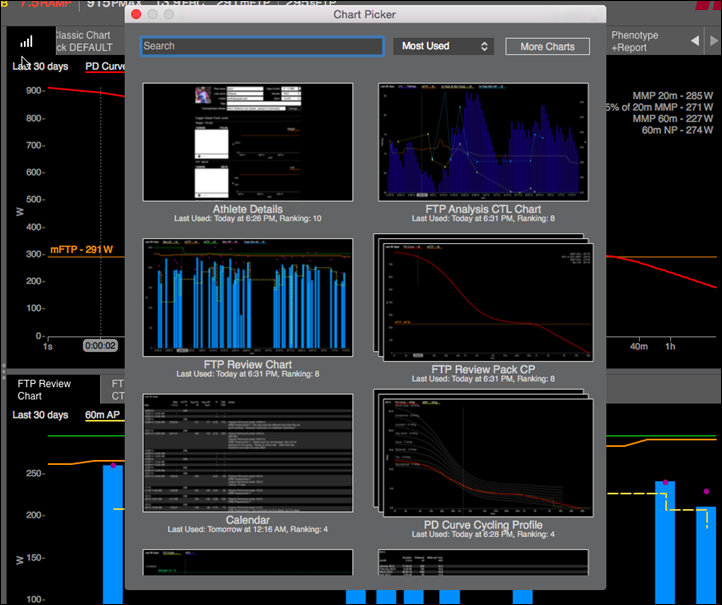 okay, after using golden cheetah for the past six months, I’m biting the bullet and buying WKO4. I had WKO3 until my PC was replaced with a Mac. Golden Cheetah is free, but I am completely over how hard it is to use. The hours spent reading and watching videos cost me more than a new WKO4 purchase. I will not miss the nonsensical and unintuitive UI of GC. Please don’t respond telling me your a developer etc… I understand the difficulty, as i’ve worked both sides of that dilemma. Its just my opinion after six months of really trying to make the free program be worthwhile.